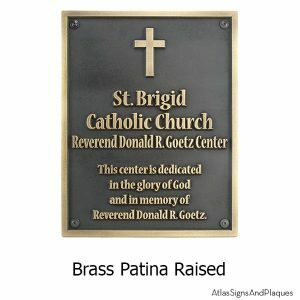 Finally, something unique to commercial signage! 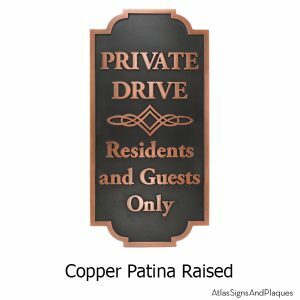 Online ordering and pricing. 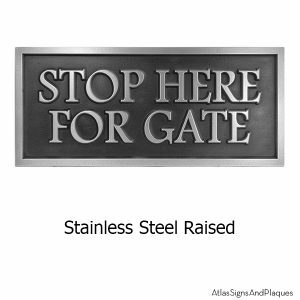 No waiting for a callback quote. 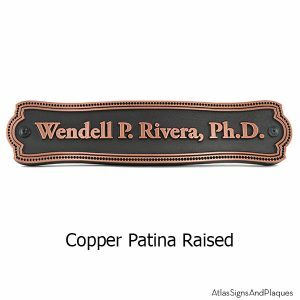 Enhance your business with a single-sided sign or a 2 sided bracket-mounted hanging sign. 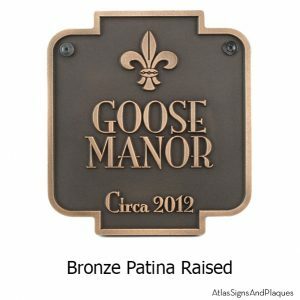 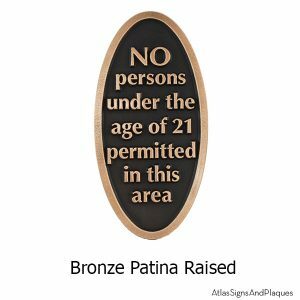 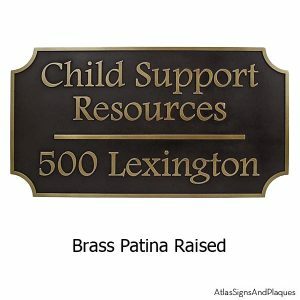 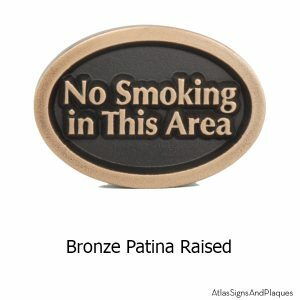 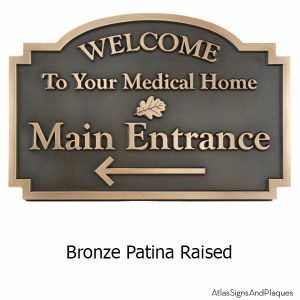 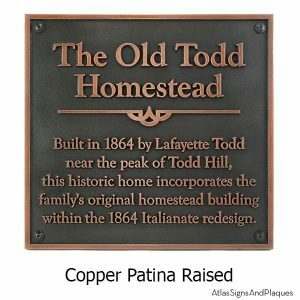 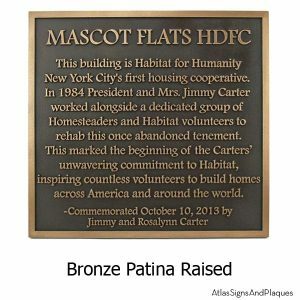 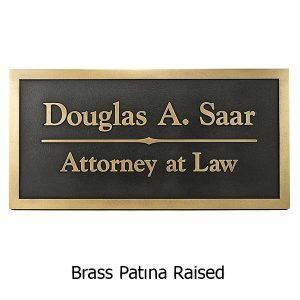 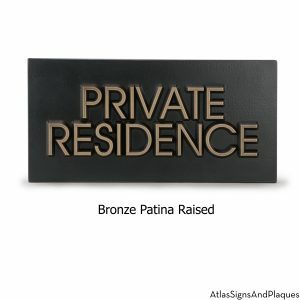 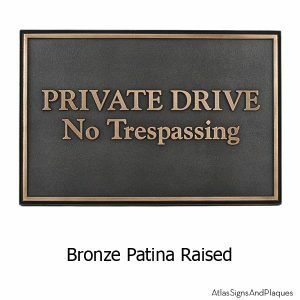 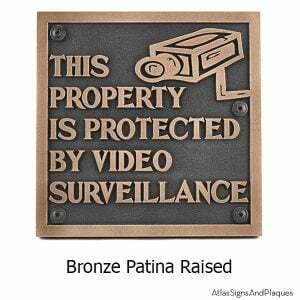 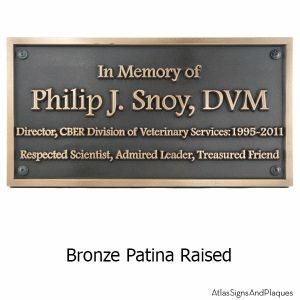 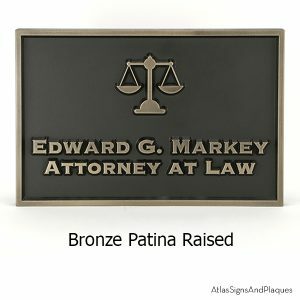 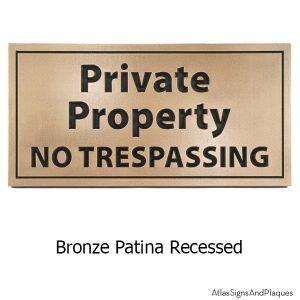 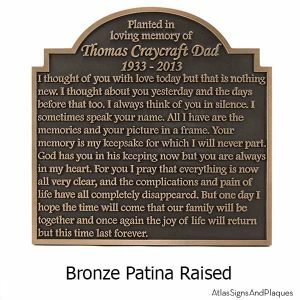 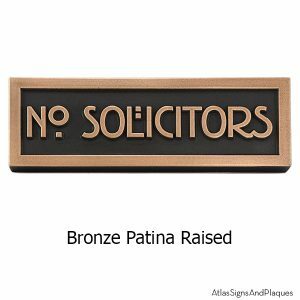 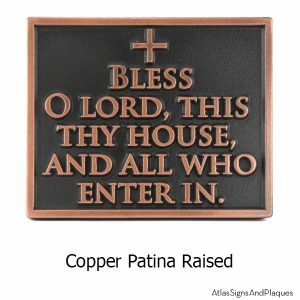 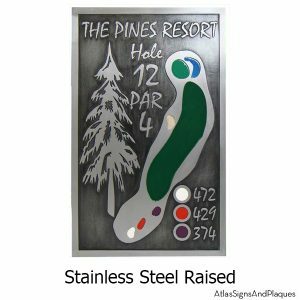 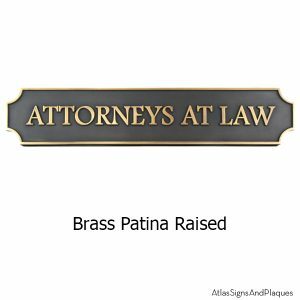 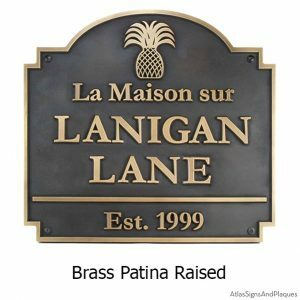 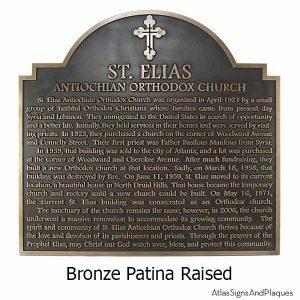 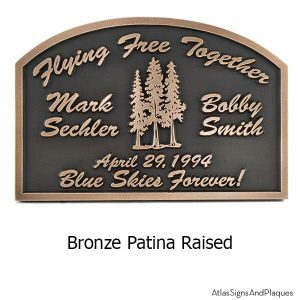 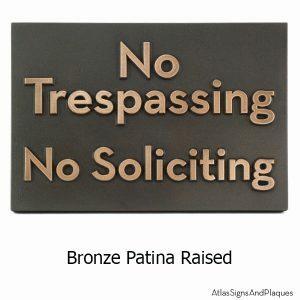 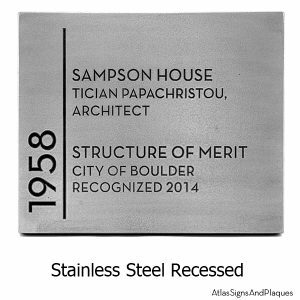 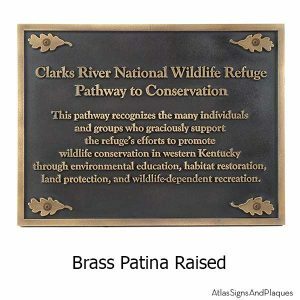 Signs by Atlas Signs and Plaques are coated with real metal using the patented LuminOre® process giving all the characteristics of real foundry-cast metal without the weight and expense. 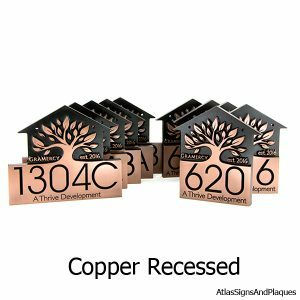 The perfect alternative to carved wood signs or traditional sandblasted signs. 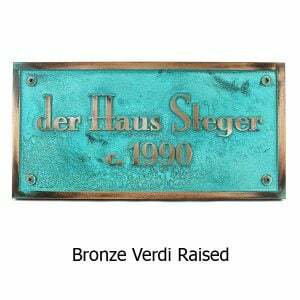 Choose between brass, copper, bronze, pewter, silver-nickel, and iron with your choice of patina and verdi finishes. 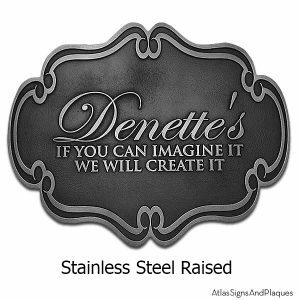 Totally custom, you make the decisions and we produce the sign that can improve your businesses visibility. 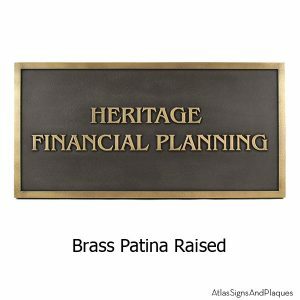 So, whether you are a business, fraternity, sorority, non-profit, school, agency, church, health care facility, city, or university, we make you look great at an economical price. 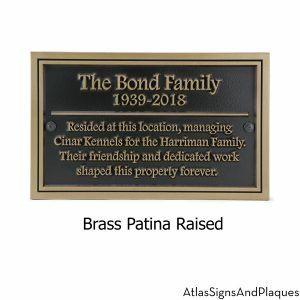 Bring more customers to your business with your own unique design. 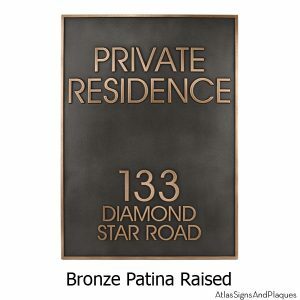 Massive two inches thick gives the look of success and permanence to your hanging signs. 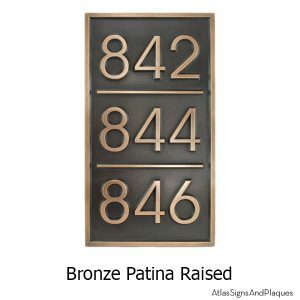 Far lighter in weight than cast bronze or cast metal makes for easy hanging. 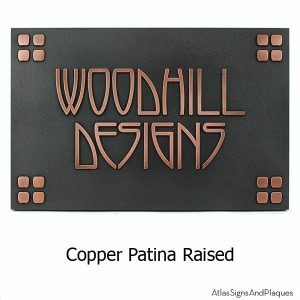 Any Design or any Shape. 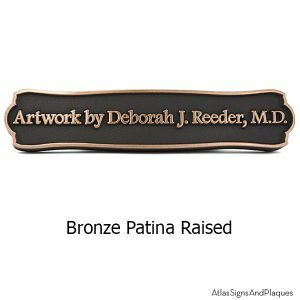 We can design from your ideas, or incorporate your artwork. 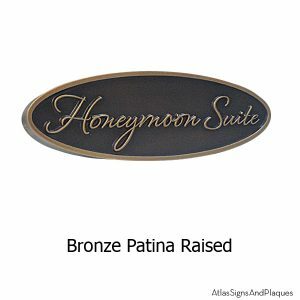 Improve your business with a commercial business sign from Atlas Signs and Plaques.